A Christmas tradition started in New Jersey was to have a huge pot of Cioppino served to our extended family/friends on Christmas eve. 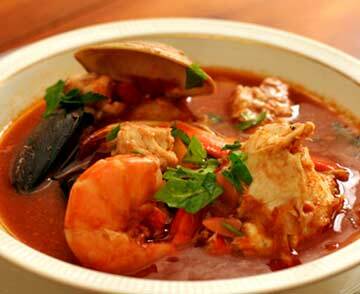 Cioppino is a fish and shell-fish stew in a tomato broth. It is said to come from the Italian fishermen in San Francisco. I would serve it before we started in on the other dishes and there would always be a huge pot leftover that we would dip into throughout the next week. If the weather was cold, I would just take the pot outside and plunge it in the snow being careful to put a rock on the lid to discourage any raccoons or other animals that might want their own holiday snack. Recently my in-laws requested I send them my recipe for Cioppino and I scaled it back drastically to create two LARGE servings. There’s no need to save this dish for Christmas eve. Heat up a fresh loaf of Italian or sourdough bread and have a feast! Oh, I should note that I like tomatoes. If you prefer less, use an 8 ounce can rather than 16 ounces or increase the wine to 1/2 cup. Like most of these type of dishes, one plays with it until it’s to your individual taste. 1. Heat 1/2 of the oil and half the butter in a large pot over medium heat. Add onions and cook, stirring often, for about 2 minutes. Add carrots, celery, peppers, leek, and cook, stirring often, for about 5 minutes. Add crushed tomatoes, bay leaf, oregano, thyme, basil, and red pepper flakes and season to taste with salt and pepper. Bring to a boil, reduce heat to low, and simmer, stirring occasionally, for 2 hours. 2. Heat remaining half of and half of butter, and the garlic in a large, heavy skillet over high heat until fragrant, 1–2 minutes. Working in 2 batches, dredge halibut, scallops, and large and small shrimp in flour, shaking off excess, and fry, turning seafood frequently, until golden, 1–2 minutes. Transfer seafood with a slotted spoon to pot with sauce, and add crabmeat, cover, and simmer for 10–15 minutes. 3. Add wine to same skillet over high heat, scraping browned bits stuck to bottom of skillet. Add mussels, cover, and cook until shells open, about 5 minutes. (Discard any mussels that don’t open.) Add mussels and broth to pot; adjust seasonings. Ladle soup into large bowls, garnish with parsley, and serve with toasted sourdough bread, if you like. As someone who has relocated several times – buying and selling houses of my own for personal and investment purposes – I can easily put myself in my clients’ shoes. I know what I needed from my Realtors and I attempt to provide that or better for my clients. My family relocated to Charleston six years ago and my love for the city and the lifestyle is one I enjoy sharing with others. 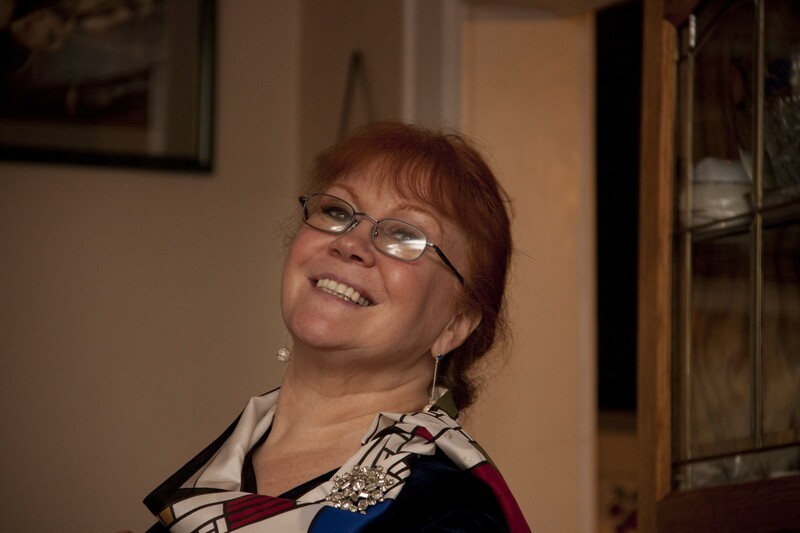 Prior to entering real estate in the Low Country I was a hospital administrator for many years in Charleston and New York City and was a Realtor in Sarasota, Florida. Leveraging my experience, I pride myself in providing outstanding client service, availability, personal touches, multi-faceted marketing, and skilled negotiations. The level of trust given to me by a client is the greatest compliment I receive as a professional. It is the foundation of my practice. My dedication to each and every client is evident before, during, and after the sale! This entry was posted in Recipes and tagged Christmas, Coastal Maine, deer isle, Downeast Maine, easy recipe, Fishermen, homemade, New England, recipe, recipe for, seafood recipe, Shawn Phillips. Bookmark the permalink. I do miss this wonderful treat! Sounds wonderful! I’ll have to try it!! !